FlowCircus.com - Learn more about our corporate team building workshops, keynotes, and professional development for educators. FlowCircusKids.com - Learn more about our comedy juggling shows and workshops available for families, tweens, and teens. Bordenca.com – The website of our amazing graphic designer, Christopher Bordenca. Credits include the Grounded for Good book cover. NaNoWriMo.org – Join the over 36,000 adults and 40,000 kids and teens in thirty days and nights of literary abandon during National Novel Writing Month in November. 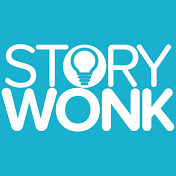 StoryWonk.com - A wonderful resource for aspiring writers. Classes, podcasts, publishing services, and more.